I had a VERY productive day today. 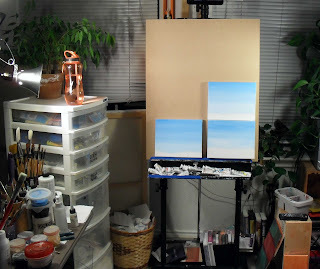 In addition to the paintings above, I have 5 others in progress. 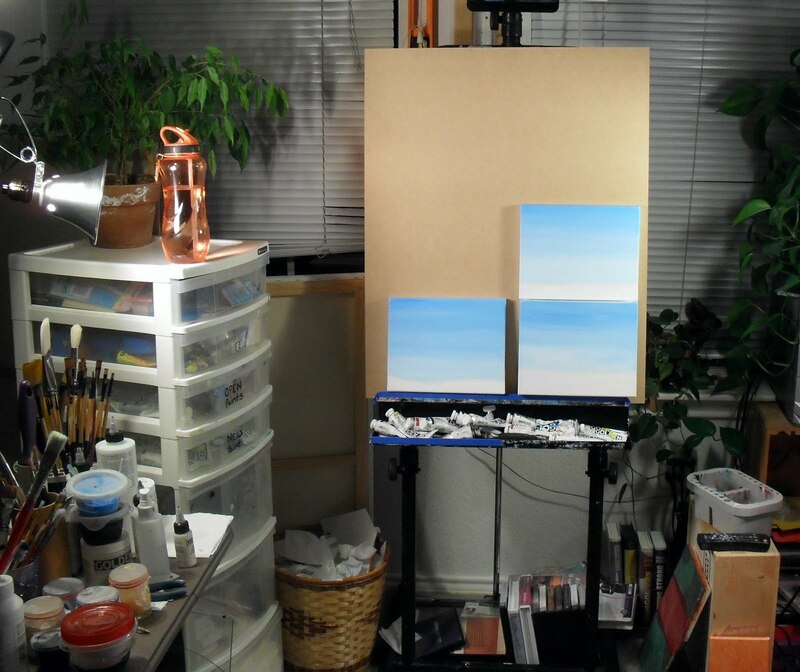 Most of these paintings are going to be abstractions, but 5 of them will be surrealistically styled landscapes. All of these paintings are small: 5x7, 8x10 and one 9x12. I still haven't gotten around to doing those sketches yet, but I think I'm going to do that this Tuesday after work so that I'll have them ready once the skies are finished on the landscape pieces.